When setting up your miniature village, you can increase the character and charm of your display with the help of these excellent village accessory buildings and figurines from Department 56. 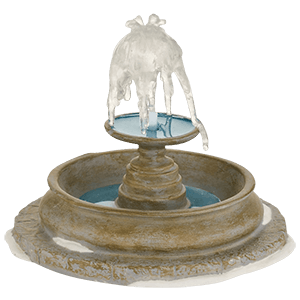 We carry an excellent array of fun village accents like fountains, gazebos, park benches, town clocks, and animated holiday figures to decorate your landscape. These village figurines also include characters and animals to populate your town like a street sweeper, dog walker, woodland creatures, cats, and songbirds. 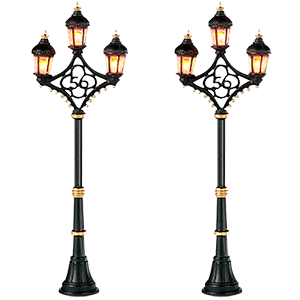 Our Woodland accessories provide a rustic look to your town, while our Uptown and Tudor adopt classic city styling. Peppermint and gumdrop accents add sweet treat fun to any North Pole setting. Come check out the many different options to fill out your village display! Keep your holiday village well-lit with the help of these Department 56 lighting accessories! We are happy to provide replacement bulbs and accessory cords designed to work with Department 56 products. Our village light bulbs come in 3V, 12V, and 120V sets. Please make sure to refer to village product packaging to purchase the correct replacement bulb. Our multiple socket power cords make a great way to eliminate single light cords and give a less cluttered look to your town. 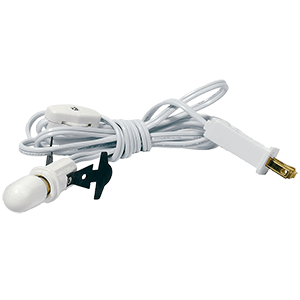 In addition to Christmas village bulbs and replacement cords, we also carry AC DC power adapters, which make a good option for Department 56 collectibles that have animation or audio effects. Our retrofit unit offers another alternative with a battery-operated lighting device, letting you illuminate your pieces in places that lack a convenient power source nearby. No matter what your need, we aim to make it easy to keep your miniature town in good shape! Design the look of your holiday town down to the finest details with the help of these Department 56 accessories. Our village streets and walkways will provide paths for your village figurines to stroll down, lined by snowy hedges, picket fences, or stone garden walls. Add a charming village footbridge or set of stairs to your wintry scene, and set off each cottage or shop with an intricate gate. These pieces come in designs suitable for a variety of village landscape styles. Our Uptown and Tudor accessories look fantastic in bustling cities, while the Woodland and Picket Fence motifs offer rural and rustic aesthetics. 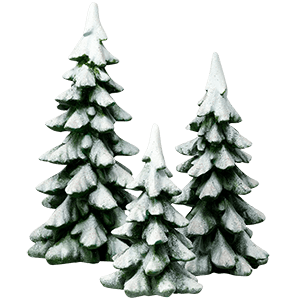 North Pole villages will look amazing with our Peppermint and Gumdrop Park accents. 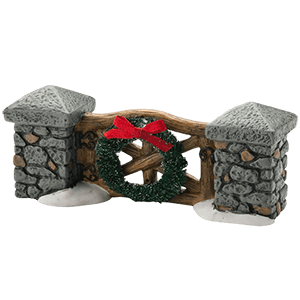 No holiday village is complete without the perfect landscape accessories, so be sure to pick out your favorites to add to your winter wonderland scene!